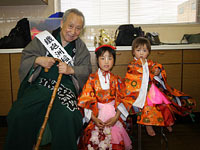 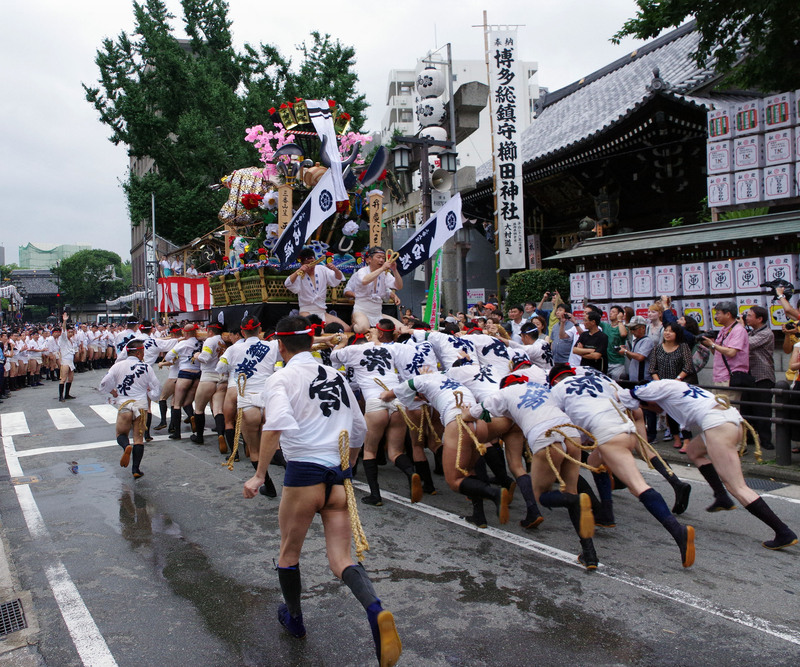 wearing white loincloth with Edo festival music. 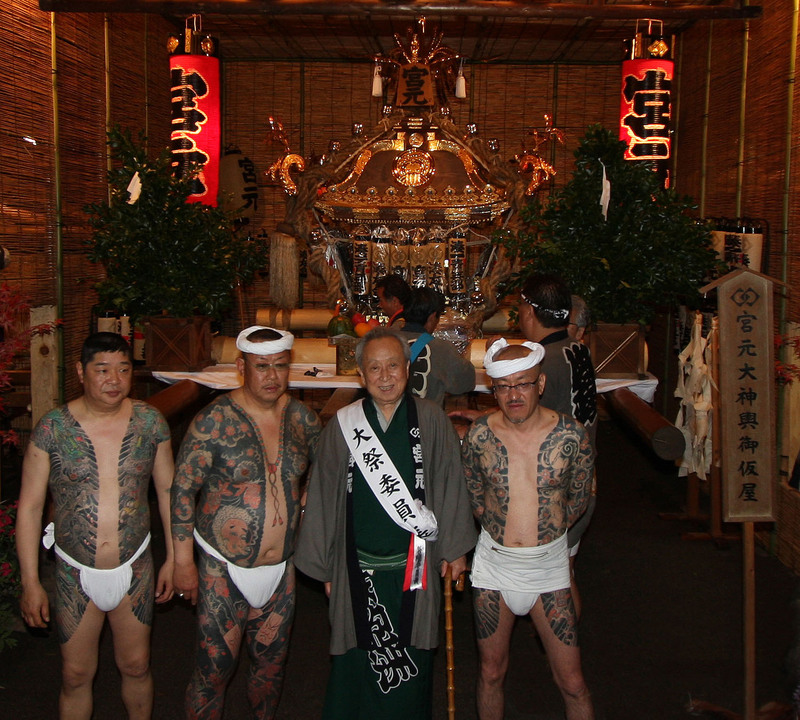 拡大写真（2400X2000)685KB Doyadoya ritual, Charms fluttering down at Six Times Temple. 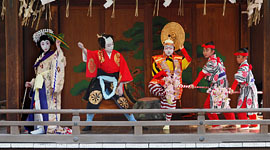 Six Times Temple, Red and white loincloths at Doyadoya ritual. 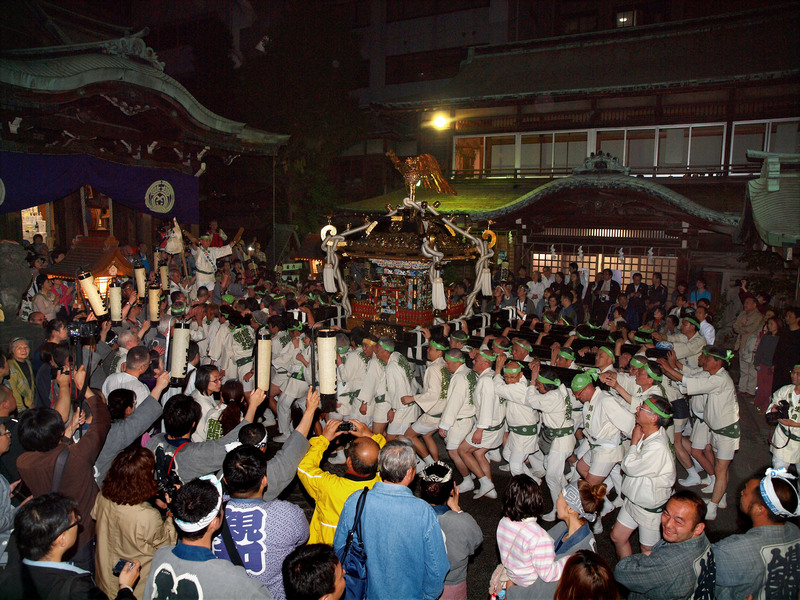 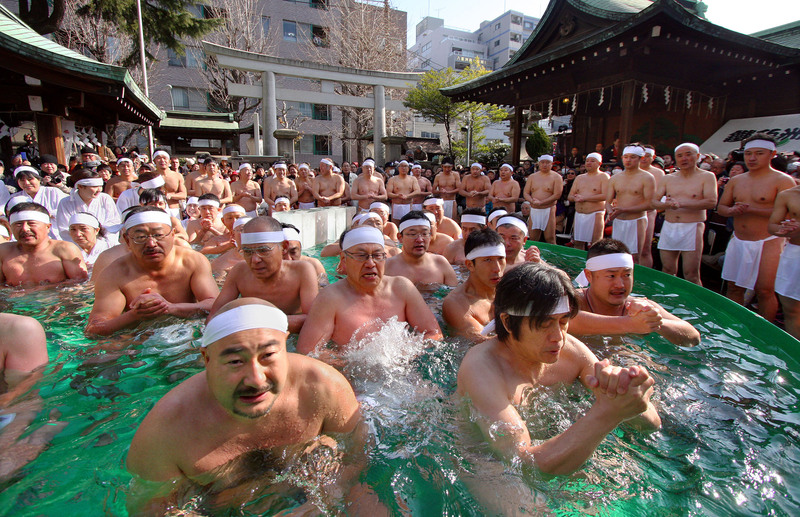 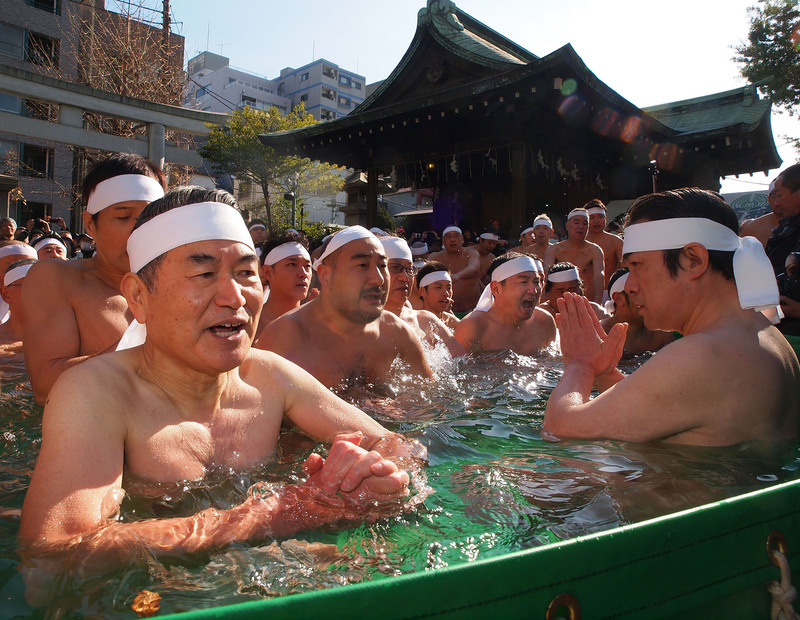 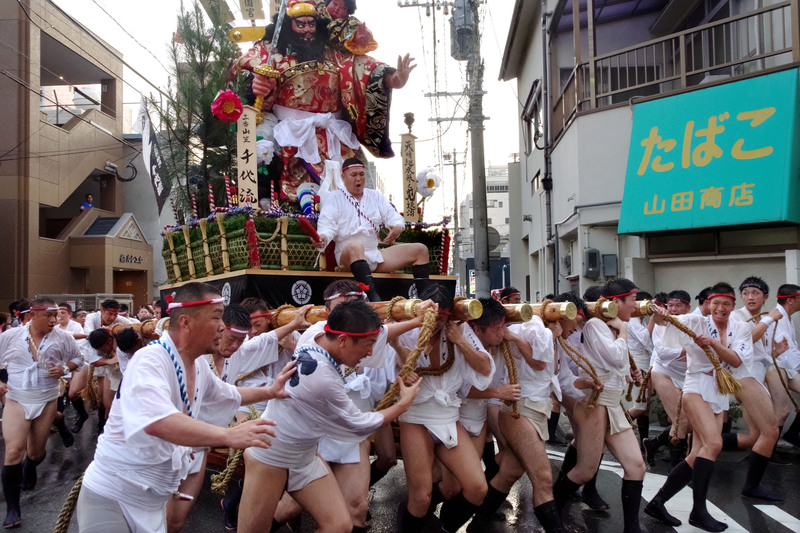 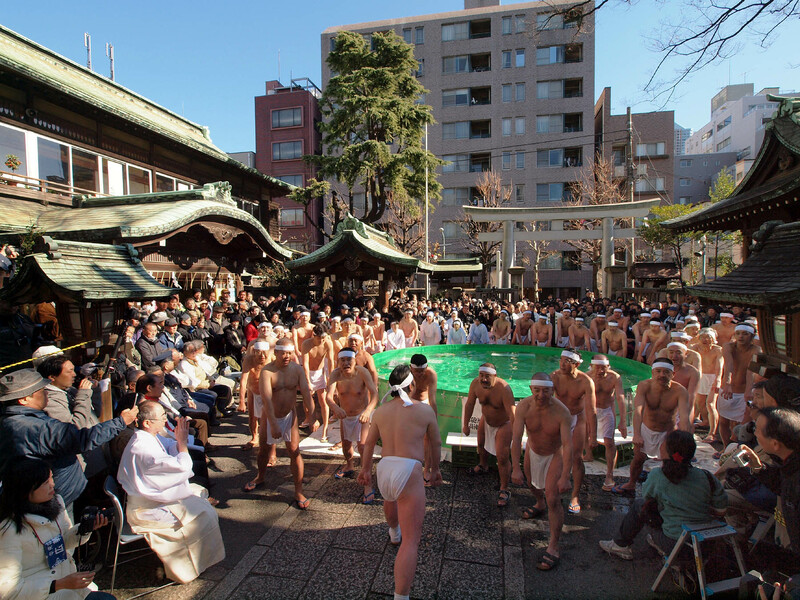 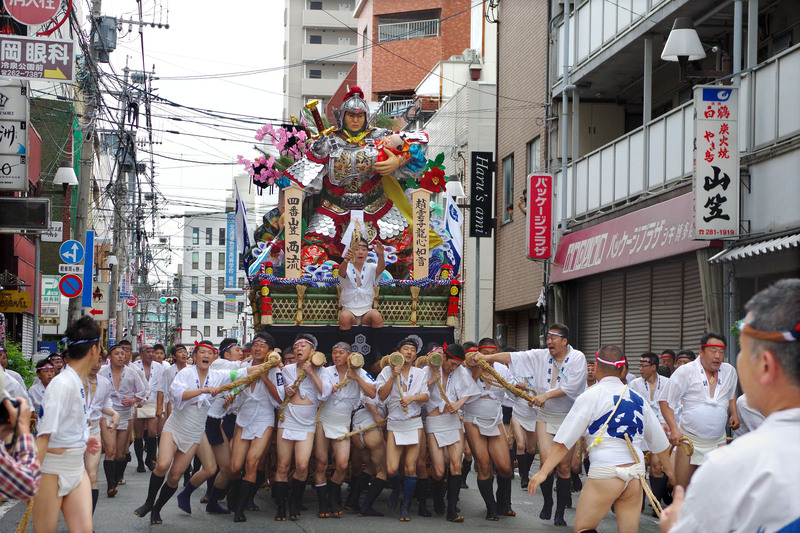 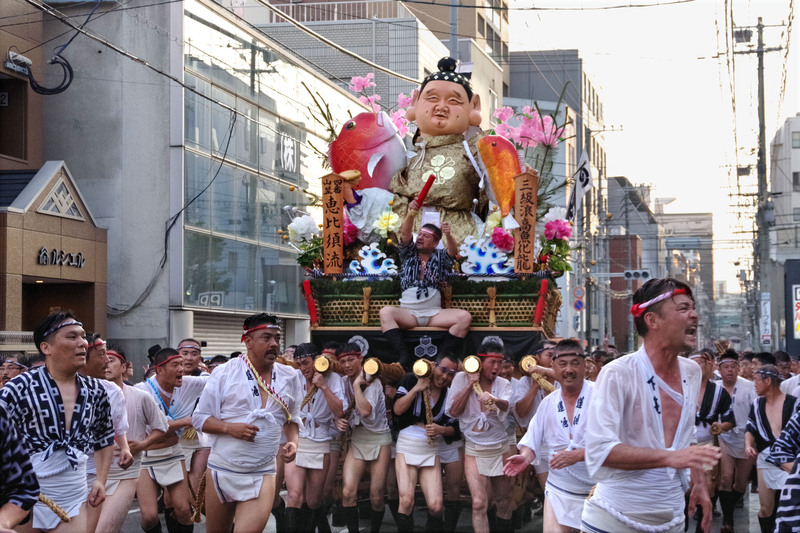 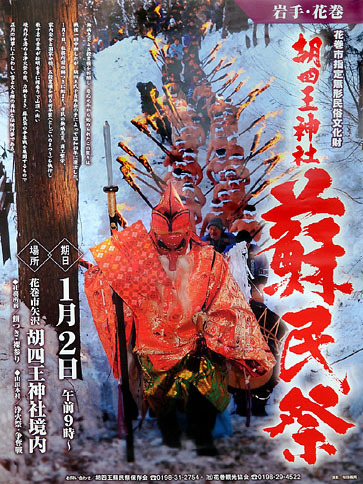 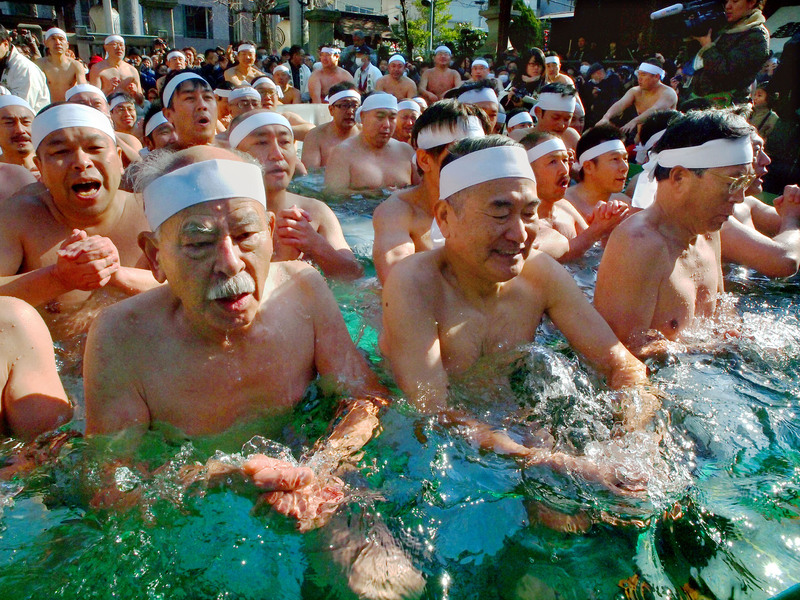 Yamakasa festival, the fundoshi guys run and run. 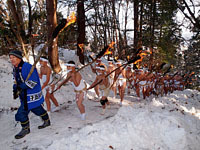 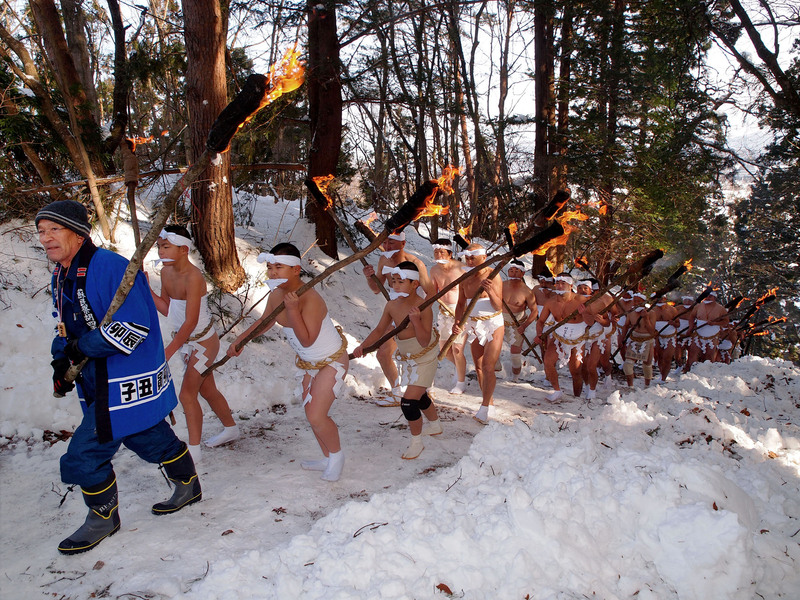 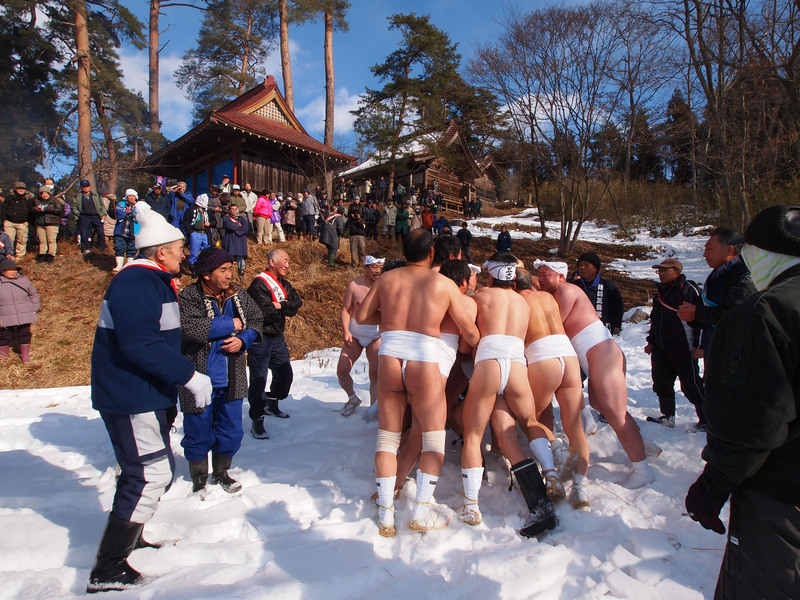 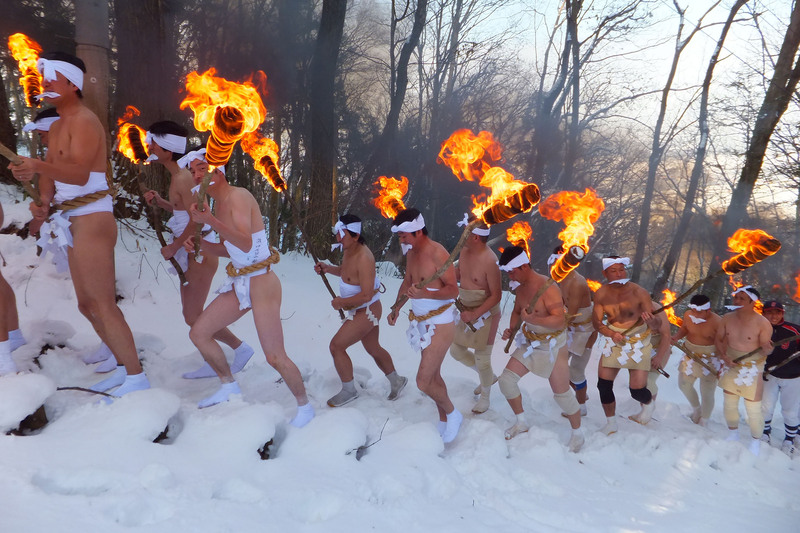 Somin festival, the mountain climbing naked with a string loincloth at the beginning of spring. 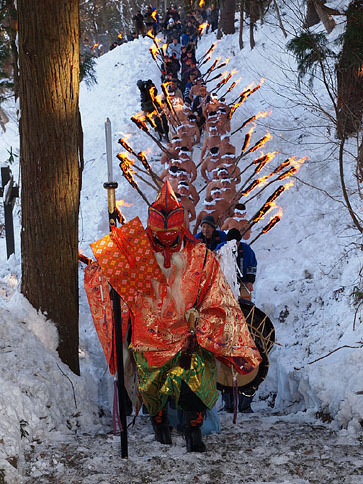 Midwinter pilgrims, mouthpieces of paper, square lanterns and white loincloths. 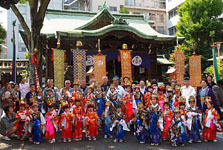 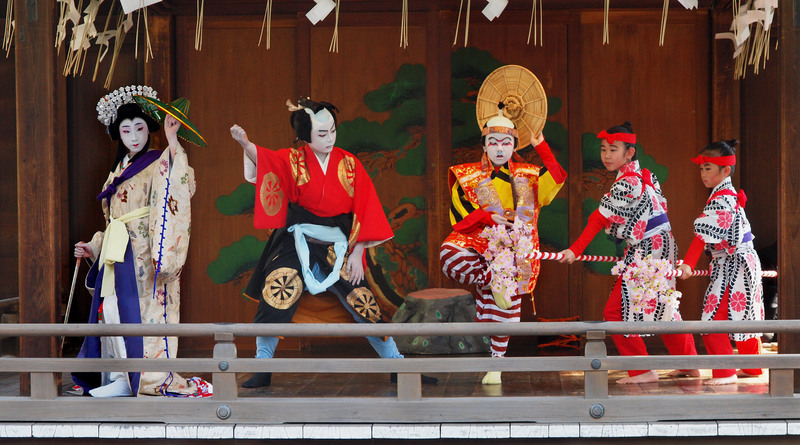 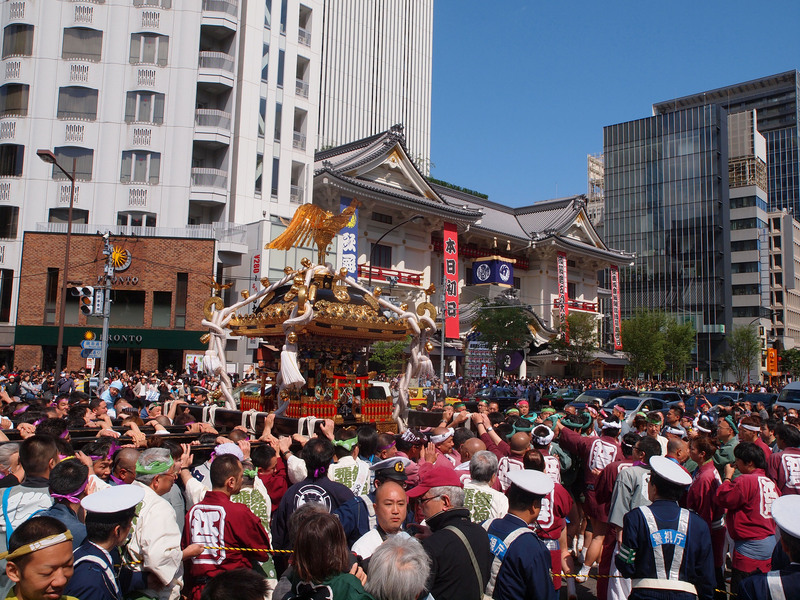 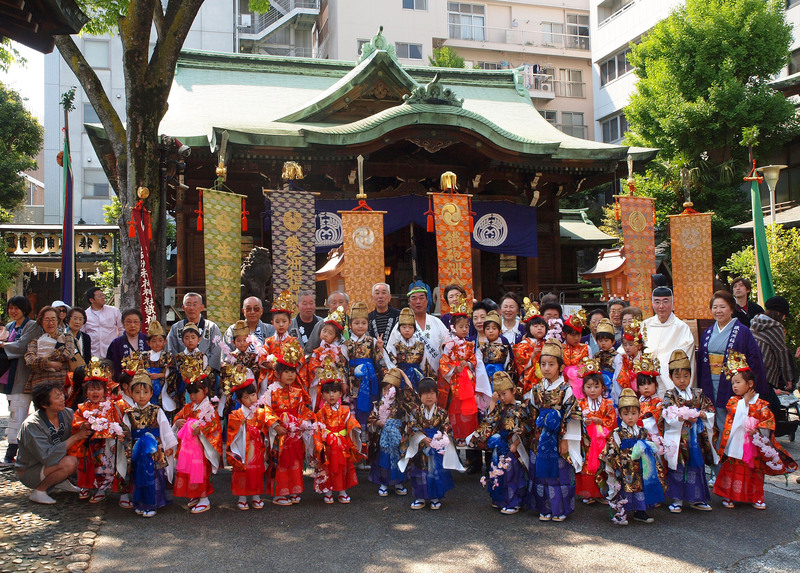 Mikoshi parade, celebrating the opening of Kabukiza theater.